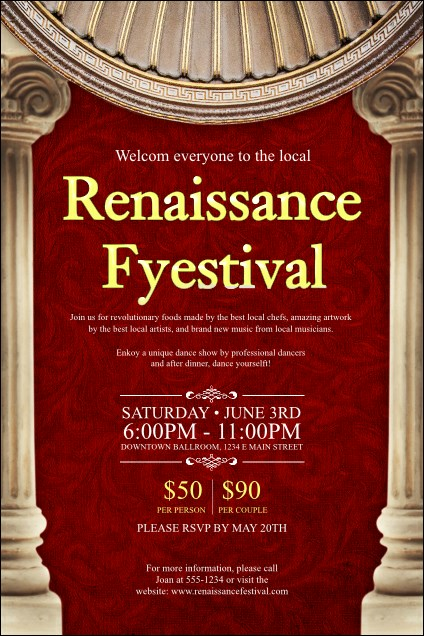 Beckon the festive patrons in your community when you post the Renaissance Poster before your fair. This elegant design features a luxurious red pattern framed by stately columns and a decorative ceiling. Enter your information into eighteen lines on the easy template and we'll send them your way. Poster measures approx. 11.46" x 17.18"
Create memorable festivals with the right promotions from TicketPrinting.com.